To make the story short, this will be about his motorbikes from the beginning till now. And in the beginning everything started fine with a Kawazaki KE100, or more precise two. One for road use and one just for fun in the forest. 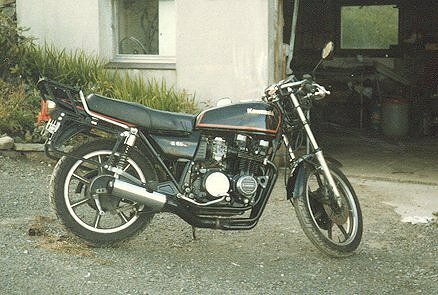 After some time a 100ccm won't be enough, so he brought a Kawasaki Z650FIII (like mine, wise) That bike was driven hard thro many roads in Norway and Europe. 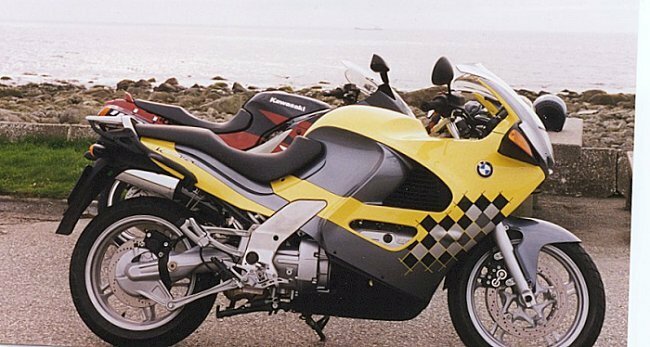 A BMW K1200RS, brand new, lots of German steel. By friend named the "Hitler sledge". At all a fine bike, excellent for touring. And every year he drives the BMW back to Germany just to let it feel at home for a while. 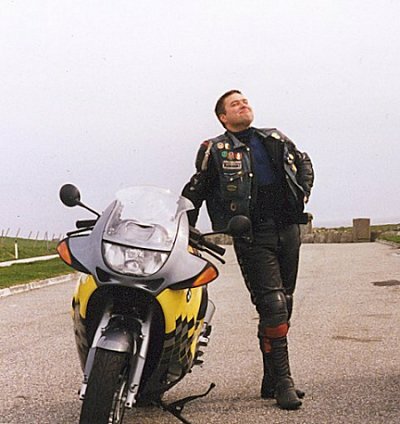 The BMW is fast but not as fast as my ZZR1100 or Kåre's ex CBR1100XX. I think Morten didn't like that, from he got the bike he has been speaking about chip tuning the big machine. And early this year (2002) he did it. (sins it's my site I have to tell it, the ZZR1100 pulled away in every gear!!) A little disappointment for Morten and after a Dyno-run he found out that he had lost around 10 hp with the new chip. Now is he talking about another chip, at all it's a turbo he needs. 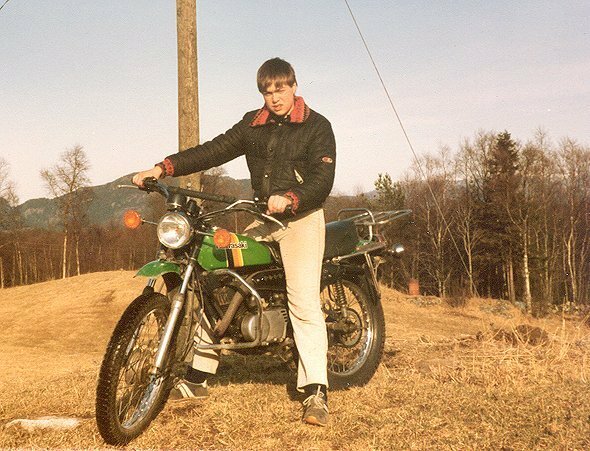 Here Morten in his young years on the "not road going" KE100. Nothing smells as good as burnt two-stroke oil. 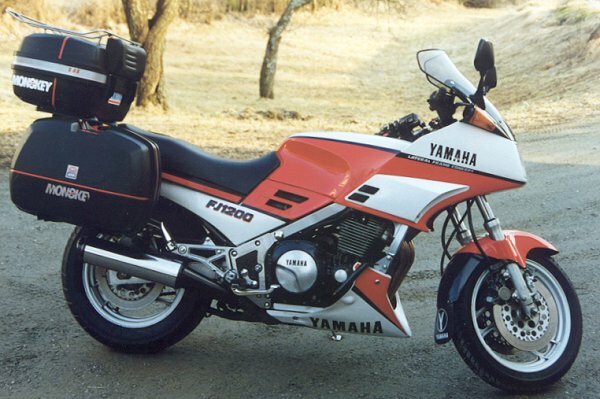 First big bore bike, the Yamaha FJ1200, ready for some serious touring. And her still young on his road going KE100 And here the BMW1200RS on first sight, if you look closely it's a real bike behind it. 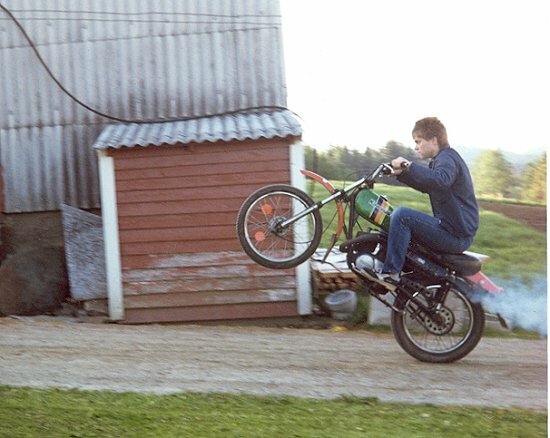 Morten's first real motorbike the Z650FIII 1983 model. The proud owner of a Beemer. 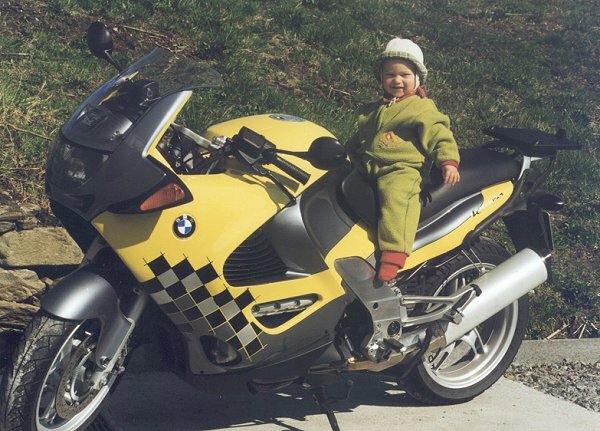 (left) Morten have a son, Johan, don't be afraid he will get all the necessary education a young motor biker needs.